A Visitor or Tourist visa is can be used to enter Australia for a holiday, tourism and recreational purposes, or to visit family or friends. It can also be used for business and other short-term non-work purposes, such as studying for up to 3 months. 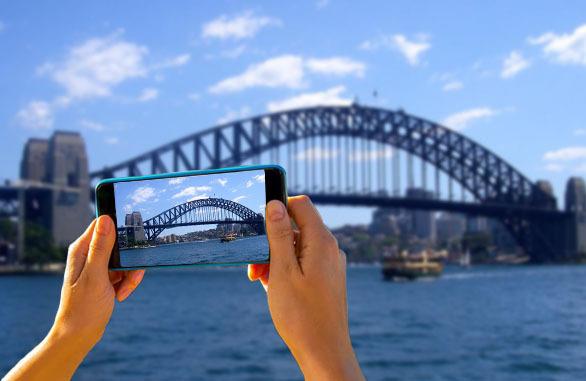 An Australian Visitor visa or Australian Tourist visa allows foreign citizens to stay for 3, 6 or 12 months (or in some situations even longer) and it will be valid for single or multiple entries, depending on your circumstances. Applicants must fill in an application and attach a considerable amount of supporting documentation. The Australian Government is concerned with the risk of an applicant overstaying their visa, breaching their visa conditions, as well as the financial capabilities of the applicant, and their inquiries are partly based upon these criteria. Unless strict guidelines are followed, and all inquiries are satisfied it is highly likely that the application will be refused (approximately 70% of all Australian visa applications are refused). So, if you are thinking of applying for yourself but are finding it difficult, why not get some personalised help from one of our experienced Immigration Agents. Our detailed knowledge of the law and years of experience preparing literally hundreds of applications will take the stress, confusion and high risk of failure out of the process. Feel free to contact Australian Visa Advice (AVA) by clocking the button below, or call us by phone for more inquiries about an Australian Visitor Visa or Australian Tourist visa.